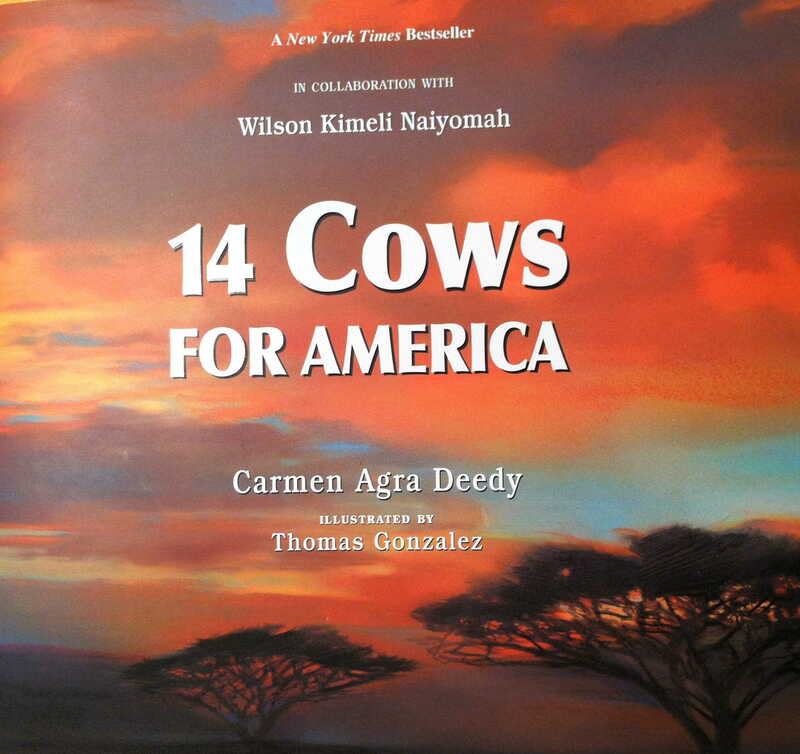 “14 COWS FOR AMERICA” “It is June of 2002, and a very unusual ceremony begins in a far-flung village in western Kenya. An American diplomat is surrounded by hundreds of Maasai people. A gift is about to be bestowed on the men, women, and children of America, and he is there to accept it. The gift is as unsought and unexpected as it is extraordinary. The Maasai’s profound gift of hope and friendship? 14 cows! To the Maasai, their cows are everything. They sing to them. They give them names. They shelter the young ones in their homes. Without the herd, the tribe would likely starve. Their cows are life itself. When one of their own, Kimeli Naiyomah, returns home from New York, where he is studying to become a doctor, the tribe hears of the great loss and suffering of the American people. America has become his second home and he desperately wants to do something to help. Remembering his childhood teaching of sacrifice, “TO HEAL A SORROWING HEART, GIVE SOMETHING THAT IS DEAR TO YOUR OWN,” he offers his only cow to take away some of the sadness from American hearts. After hearing his story and seeing his tears, Kimeli’s tribe follows suit and offers up their own precious cows, 14 in all. The sacred, healing cows will never be slaughtered. They remain in the care of the Maasai and have increased in number to more than 35. 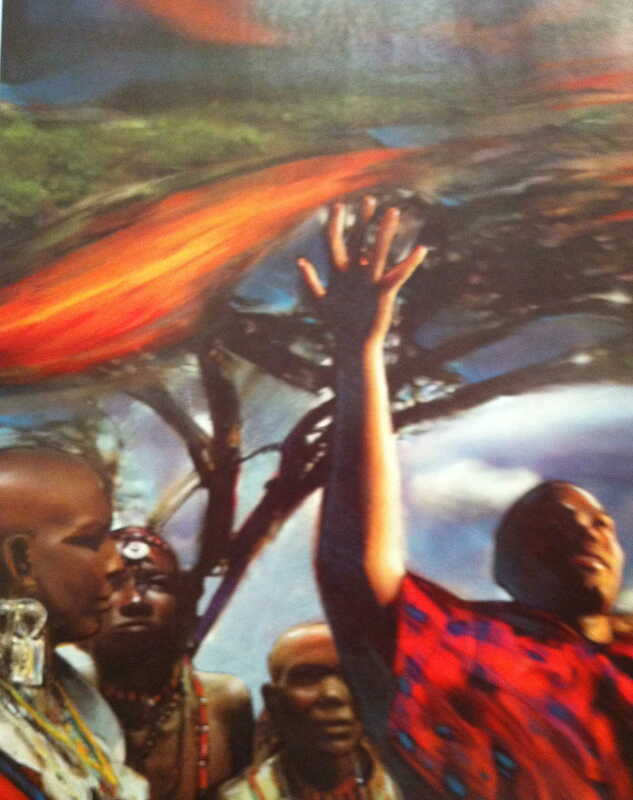 They continue to be a symbol of hope from the Maasai to their brothers and sisters in America. 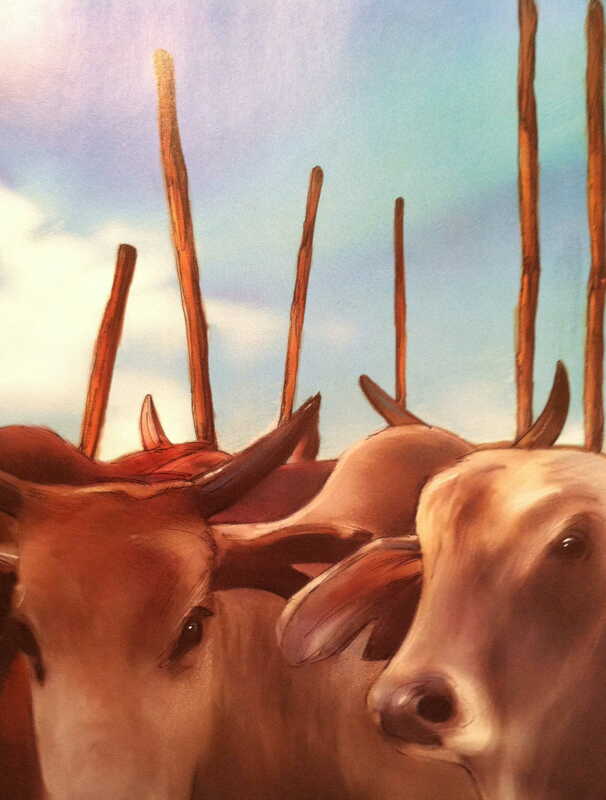 The Maasai wish is that every time Americans hear this story of the 14 cows, they will find a measure of comfort and peace. What a fantastic book this is! And what a wonderful way to teach children how to respond to suffering. 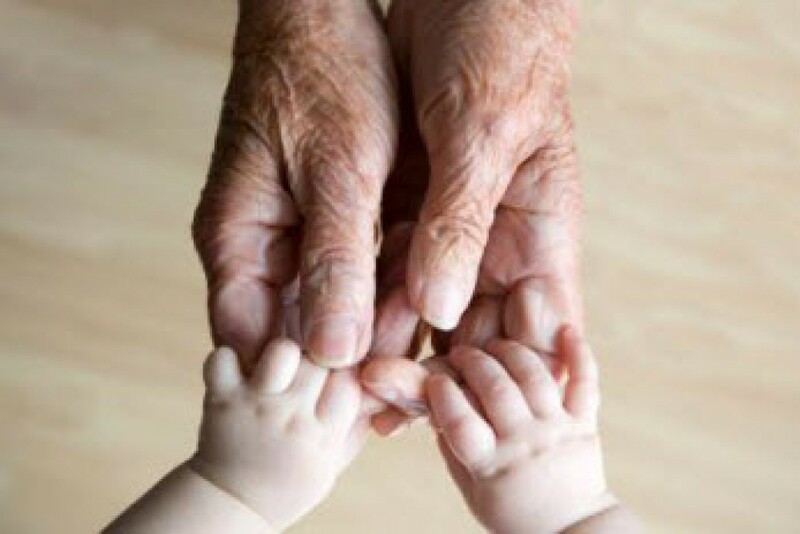 It’s never easy and especially with little folks, we tend to avoid the tough stuff. This book is a big help. 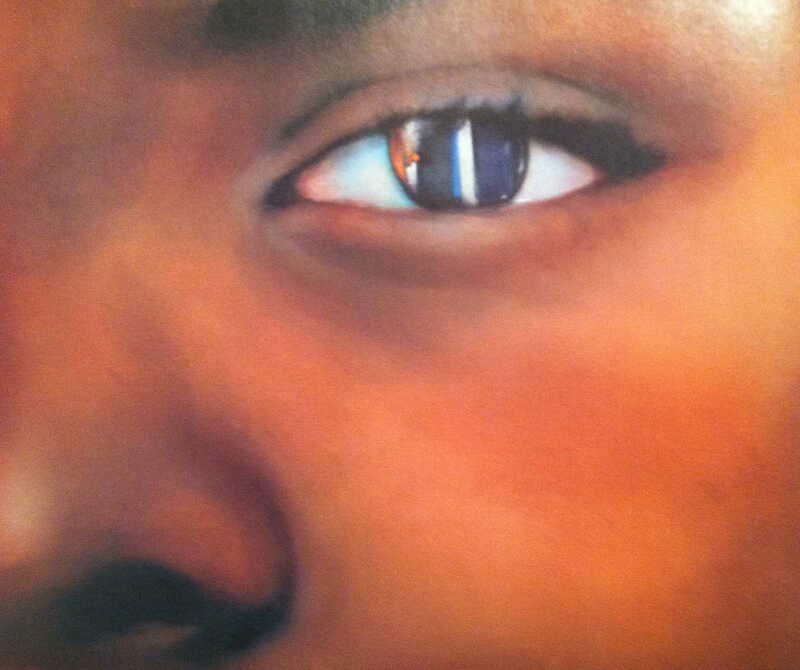 I tear up every time I read the last page, which shows a close-up of a Maasai child’s face, with the Twin Towers reflected in one eye. The final sentence reads, “Because there is no nation so powerful it cannot be wounded, nor a people so small they cannot offer mighty comfort.” I think that says it all! This entry was posted in In the Book Nook and tagged America, brothers, comfort, cows, heart, hope, love, sisters by The Village Granny. Bookmark the permalink. You are so welcome. I do love good children’s books and children love them too!